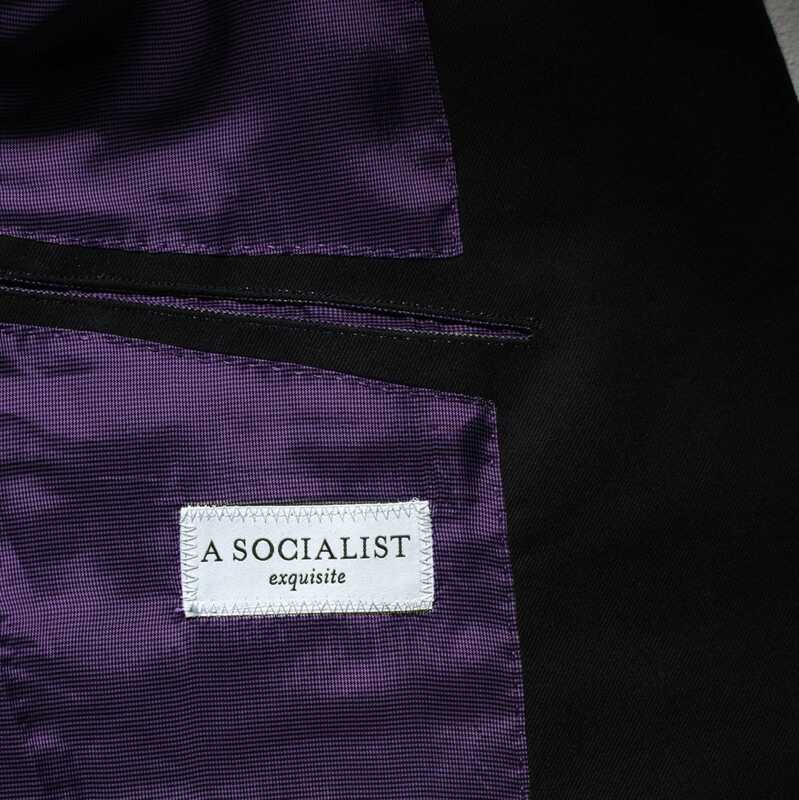 “The Blues Brothers,” “Reservoir Dogs,” and more… inspired by the cool look of men in black suits in the movies, A Socialist presents its first tailored suit. 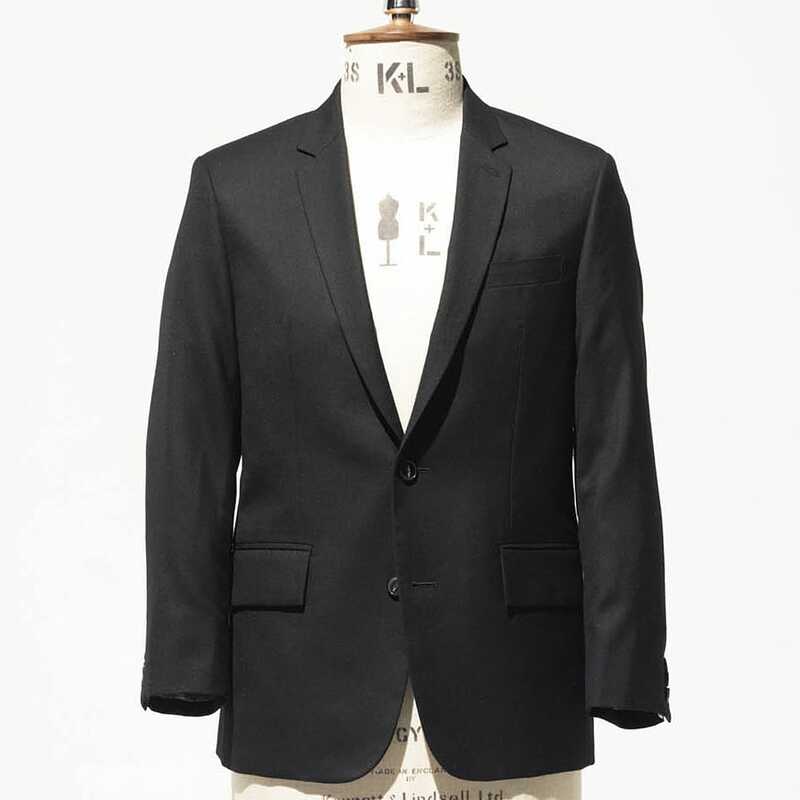 Starting with quality wool serge, tailor’s details are added by hand to the orthodox and basic silhouette. Universal and for long-term wear, the suit was made for wide appeal and is as ready for business as it is for ceremonial occasions. Anytime, anyplace; the black suit makes men look cool under any circumstance. Unquestionably the best item in a man’s wardrobe. 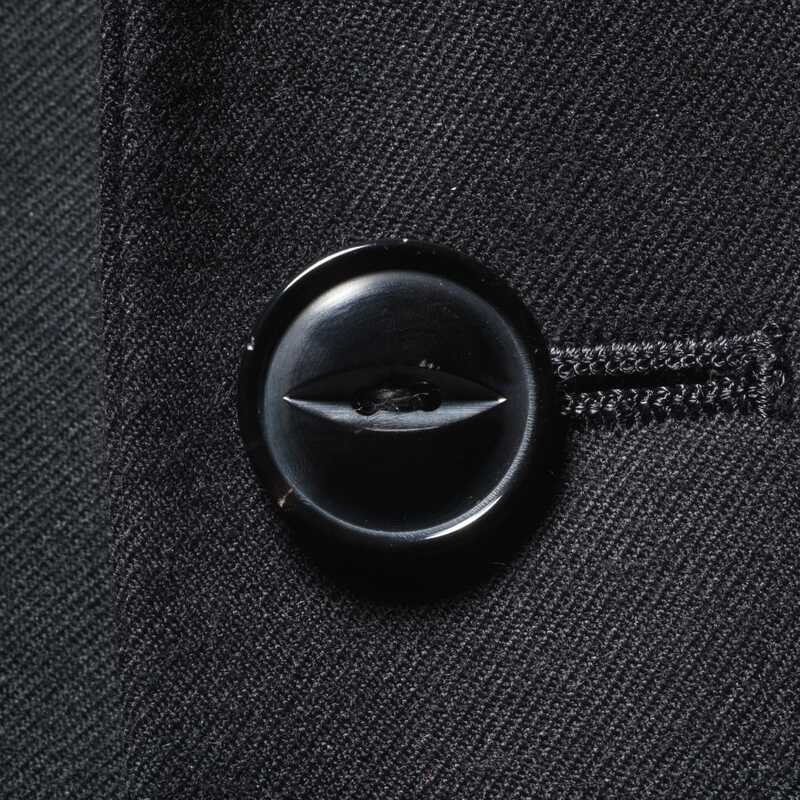 A button often noted in vintage workwear, the cat’s eye button [named after its shape] is employed here to add an expression and identity of men’s work clothing. A cashmere “piece name” is hidden beneath the left sleeve cuff. Upon using the surgeon’s cuffs this playful detail is revealed. A jacket lapel can markedly change the change the impression of a suit; here a slim lapel is employed. A light and stylish look, matched with the slightly low placement of the front buttons conjures a smart impression. 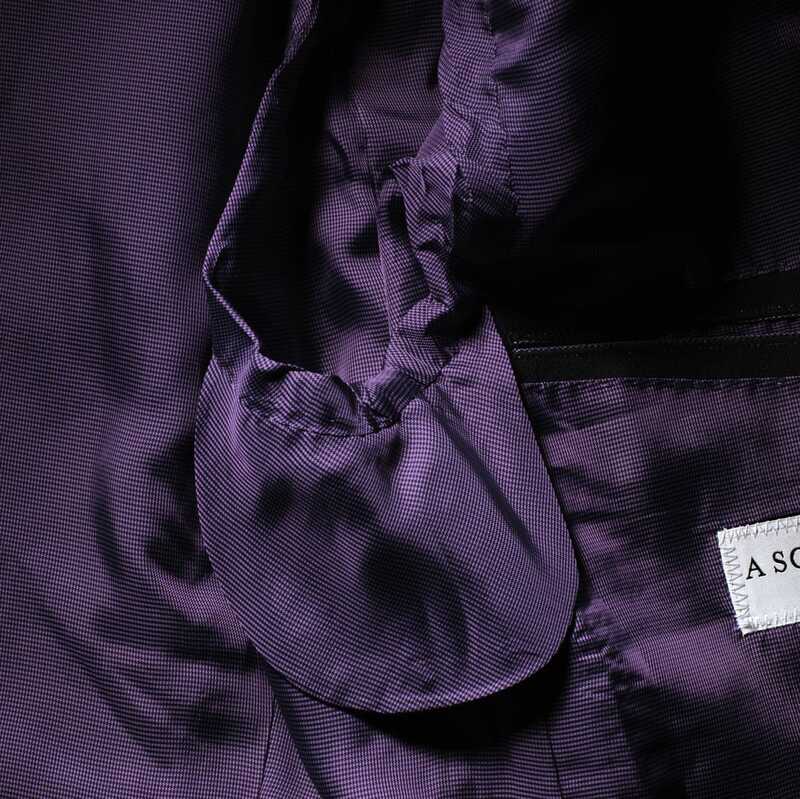 To prevent sweat from permeating and damaging the lining fabric, a sweat stopper is used under the armpit. A useful detail for the sweltering Japanese spring and summer. The “Odaiba Pocket” takes its name from an appearance which mirrors the protruding island of Odaiba in Tokyo bay. This pocket design is a detail from a time when objects were treated with more care: as it is not part of the jacket lining, the pocket does not need to be changed along with damaged lining. 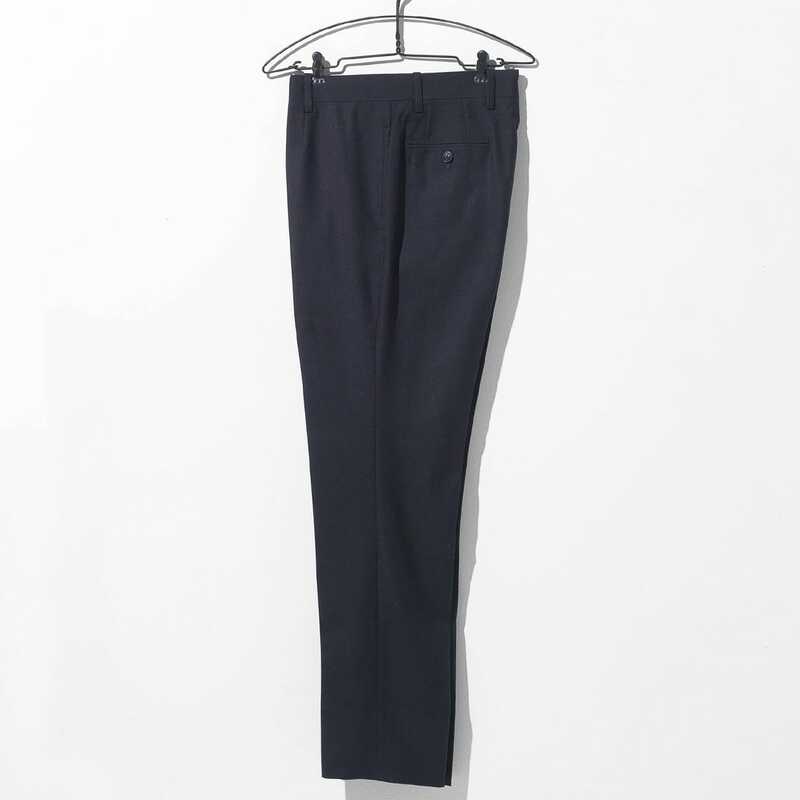 Darts in the trouser front help to keep the volume in the hip’s fit. 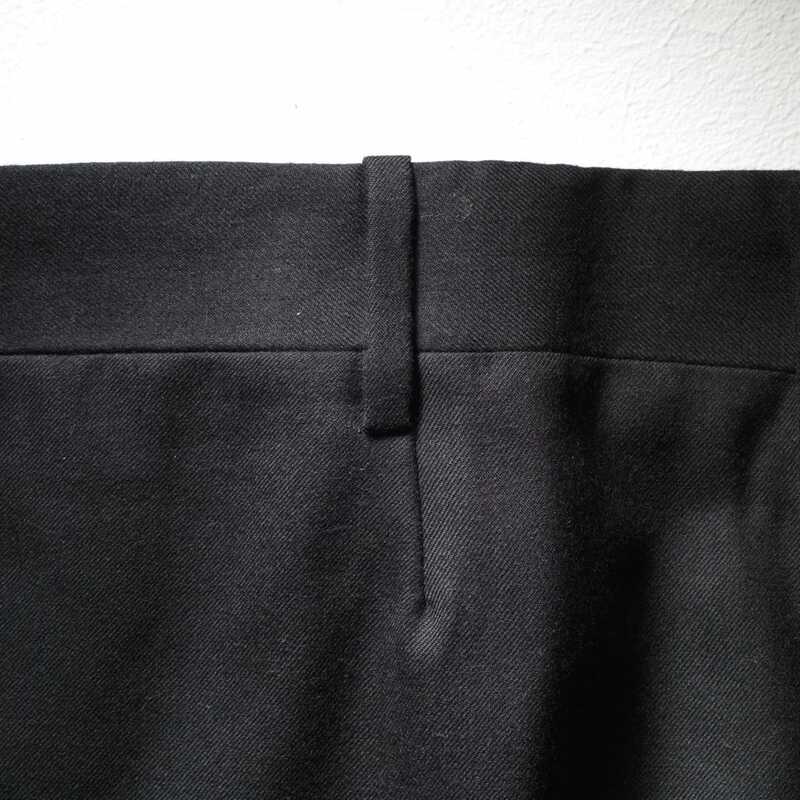 Though not as visually striking as pleats, darts still take a lot of work to sew in skillfully. 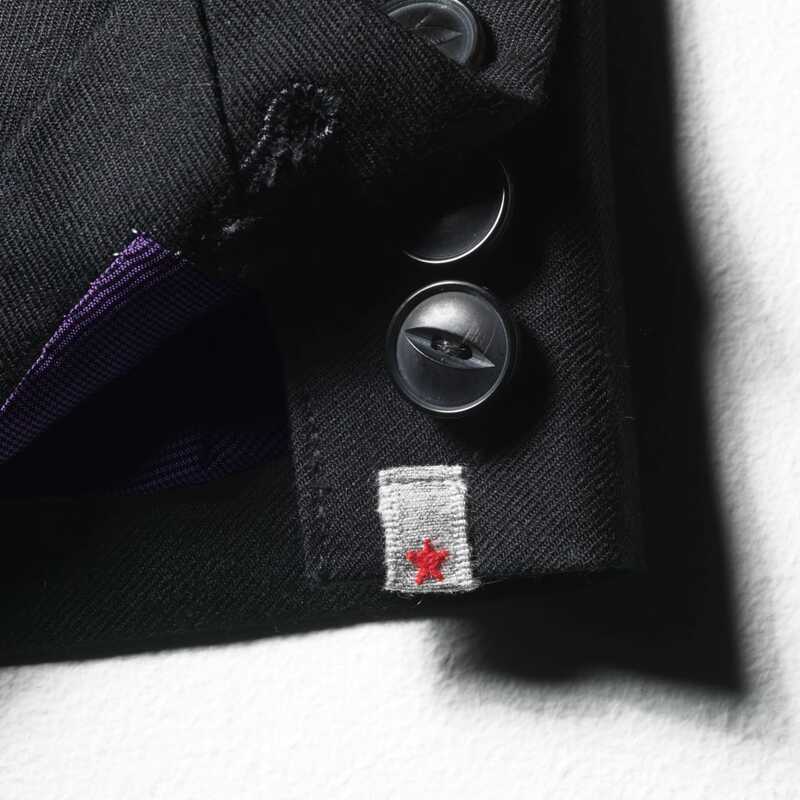 A detail which unites smartness and comfort. 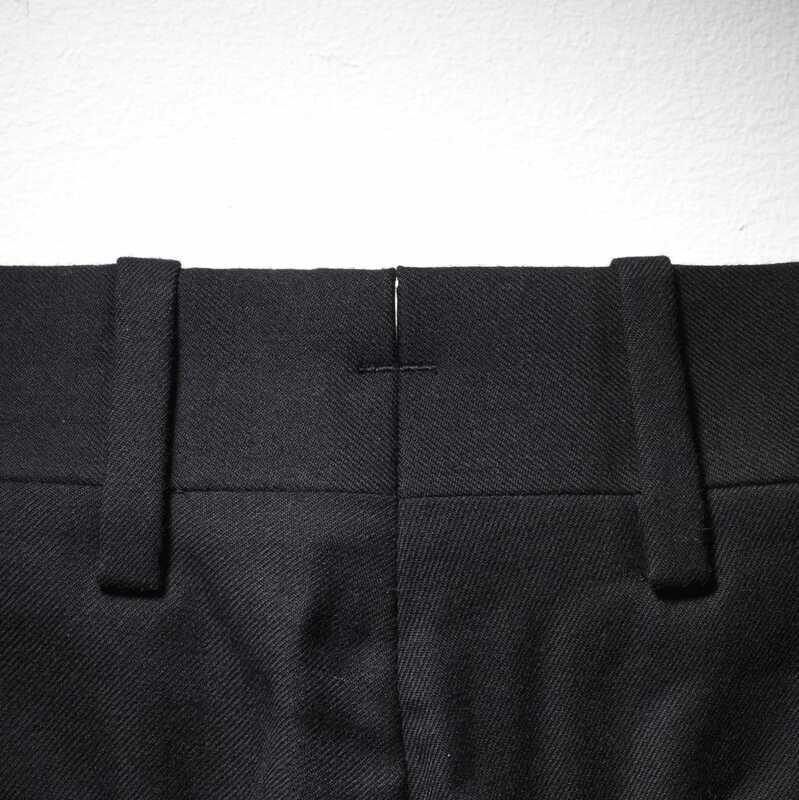 By opening and closing the slit in the waist belt, the fit of the waist can be adjusted to taste. Because the slit is load-bearing and may tear it has been sewn-in with strong “kan-nuki” stitches and other reinforcement measures. 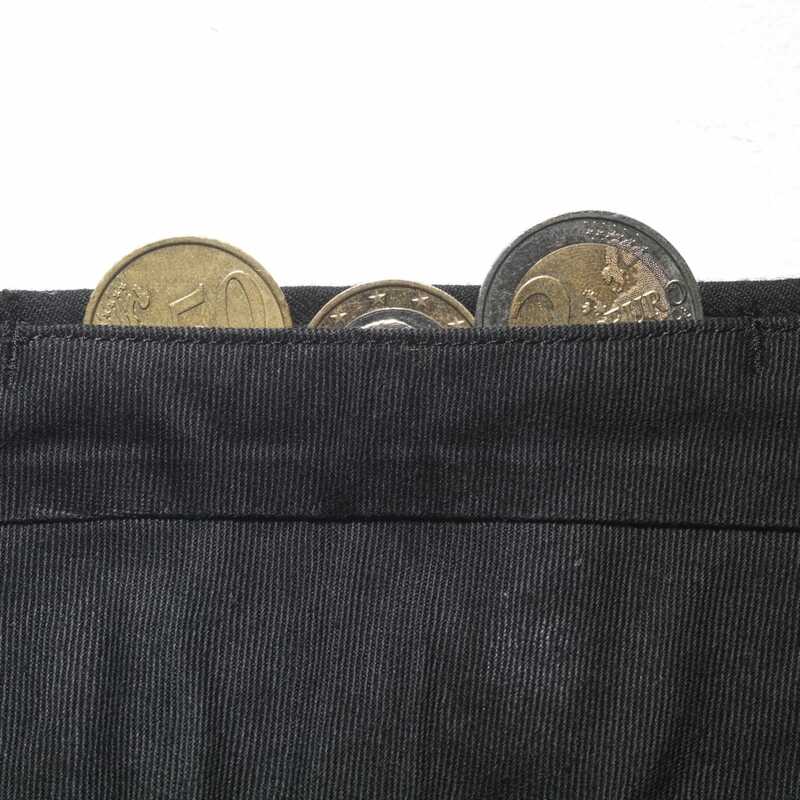 Good for coins and tickets, a hidden pocket is built into the waist belt. 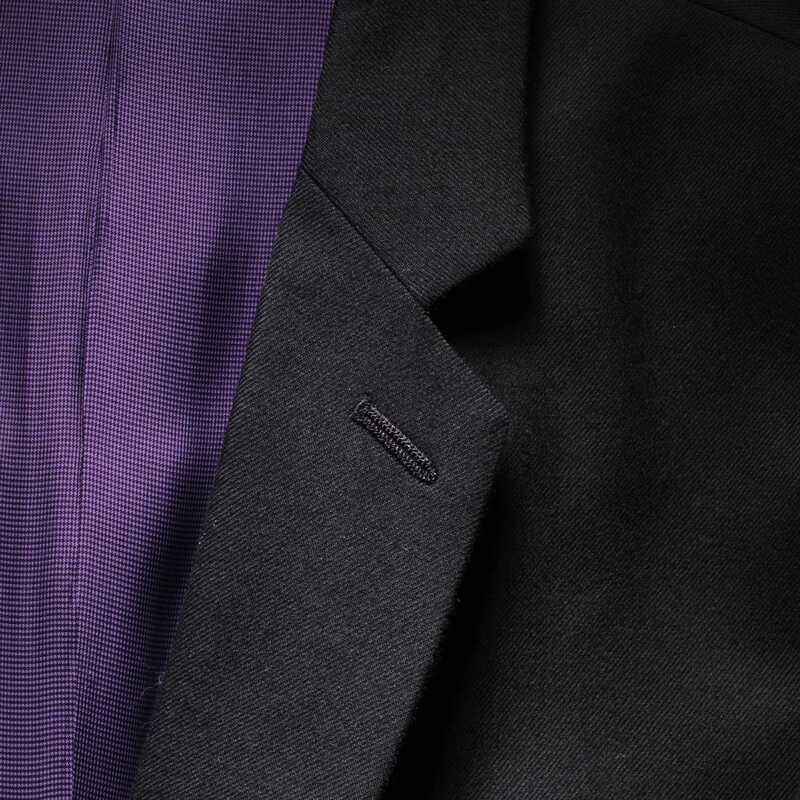 This detail from classic bespoke suits is also a useful addition in contemporary wear.